This eyewitness identification toolkit provides prosecutors with an overview of the research behind witness memory and offers guidance for developing identification procedures. Prosecutors should take the lead in making sure that the identification procedures used in their state yield reliable, admissible evidence. The first step is to learn what procedures their police departments are using and to determine if they are fair and reliable. 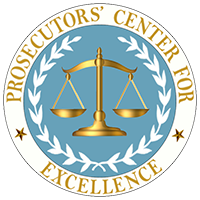 Prosecutors’ Center for Excellence is available to prosecutors to offer further assistance on the issues briefly described below. download it to your computer for better results.